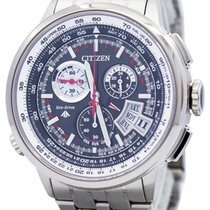 Citizen is one of the largest watch manufacturers worldwide. This Japanese concern features a wide selection and the most modern technology at an outstanding price-performance ratio. Highlights from this company are Eco-Drive and atomic time via GPS. Solar power plays a prominent role in Citizen's Eco-Drive technology. In 1976, the manufacturer presented the first analog quartz watch run by solar power. This technology made battery power largely irrelevant for most Citizen watches. Its advantages are obvious: Watches with Eco-Drive are incredibly precise and continue to function reliably even after being in the dark for months. Some watches switch to a power save mode automatically when exposed to continual darkness, and their power reserve lasts for approximately seven years. This has long been considered sophisticated technology. Furthermore, it eliminates the need for cumbersome battery changes and special waste. 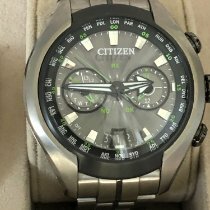 Citizen offers five different collections: Promaster, Super Titanium, Sports, Elegant, and Basic. The manufacturer utilizes the full potential of electronic watches in their Promaster series. This series offers a multitude of functions that mechanical movements are unable to support, and their prices don't break the three-figure range. Citizen divides the watches in this series into three categories according to their intended usage: Land, Marine, and Sky. The Promaster Land is powered by Eco-Drive and runs with the accuracy of a quartz watch. Some Promaster Land timepieces are equipped with extra features, such as an electronic compass and an altimeter, while others are synchronized to atomic time via radio signals available worldwide. A stopwatch function measuring precisely to 1/1000th of a second is also available in this series. The Promaster Marine collection is made up of around a dozen diving watches, including a true classic: the Citizen Automatic Diver’s with a mechanical caliber. The watch with reference number NY0040-09EE has remained virtually unchanged for decades and has an established fan base. 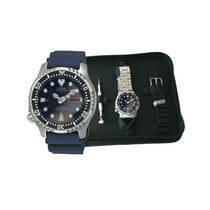 Thanks to its robustness, it's considered one of the most affordable diving watches and is certified in accordance with the ISO 6425 standard. The model is identifiable by its screw-down crown at the eight o’clock position. Its automatic caliber vibrates at 21,600 alternations per hour and is made in-house by the Citizen subsidiary Miyota. The watch is waterproof up to a depth of 200 m, or 20 bar. Another Promaster Marine model, the BJ8050-08E, is powered by solar energy and suitable for depths up to 300 m.
Solar energy also powers models from the Promaster Sky collection. These pilot watches have a bezel with countless features to aid in calculating flight data. The Promaster Sky is also available as a radio watch and some models feature titanium cases. The boundaries dividing particular Citizen series aren't always well-defined. The Elegant collection, for example, features high-tech titanium watches that could very well be part of the Promaster series based on their functions and appearance. However, the showstopper of these stylish watches is the so-called Satellite Timekeeping System. Citizen has used this technology since 2011 in order to display the exact time. Watches receive GPS signals from space and synchronize themselves with the precise atomic time. Without GPS, this technology would be impossible. The Satellite Timekeeping System covers 40 time zones and its signal is available all over the world, even in the remote wilderness. This is the main difference between satellite and radio watches, which function more like a radio and require a long-wave transmitter in order to receive the time signal. The Elegant collection alone has around 100 different models for men and women, which demonstrates exactly how large Citizen's selection is. Furthermore, it shows that Eco-Drive has won out against battery power, as solar energy is standard in Elegant models. The classic three-hand watches with date display and a gold-plated round or square case are also part of the series, as well as women’s watches set with diamonds. The Sports collection contains about 50 watches. Its name is, yet again, loosely interpreted: Some of the Sports models are just as elegant as the Elegant models are sporty. The Sports watches with reference numbers AW1520-51L and AW1523-01E resemble the Omega Seamaster 300. The watches in this collection are sturdy, meant for everyday use, and are suitable for depths up to 100 m (10 bar). The versions with stainless steel cases and bands, as well as mineral glass, cost around 200 euros. Citizen's Basic series, also comprised of about 50 watches, is a bit more affordable, with most falling in the 100 euro range. These watches have quartz movements, are battery-powered, and vary in design from classic to sporty. Most of them are water resistant up to 30 m (3 bar). 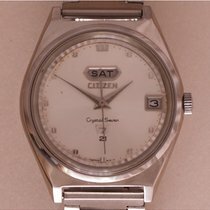 Citizen has a long company history. Their predecessor, Shokosha, was already producing timepieces in 1918. In 1924, they produced a pocket watch called Citizen. In 1930, the company decided to take on the model's name, becoming Citizen. Today, it’s part of a holding company under the same name, whose different branches produce things such as calculators, printers, ceramic parts, liquid crystals, and image recognition sensors. The American watch manufacturer Bulova has belonged to the Citizen concern since 2008. Citizen's subsidiary Miyota employs Citizen technology in watches beyond their mother company: Manufacturers such as Dugena, Festina, Jacques Lemans, and Invicta all use Miyota calibers. Additionally, Citizen provides the official timekeepers for the US Open tennis championship and the soccer club Manchester United. Technical innovations were always quickly incorporated into Citizen's series. The company has been one of the leading providers of solar-powered watches since the 1990s with their Eco-Drive technology, along with the German manufacturer Junghans. 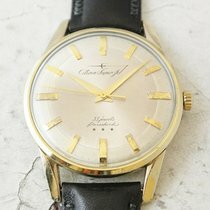 Citizen introduced the first Japanese wristwatch with shock protection in 1956. The company used the Parashock system, which they developed to protect mechanical watches against impacts. Three years later in 1959, Citizen introduced their first waterproof watch. 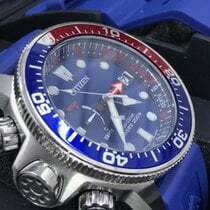 Alternatives to Citizen include Seiko, the other major Japanese watch manufacturer, and Casio, who offer comparable models. 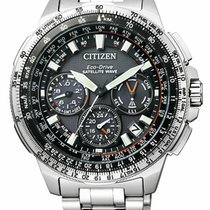 When looking for a solid everyday watch with the newest technology, Citizen is a good place to start. Citizen watches are even intriguing for luxury watch wearers, seeing as having an A. Lange & Söhne on your wrist while working on the old Bentley or building sandcastles with your children is a bit impractical. Citizen's designs range from classic and conservative to functional and technical. In terms of functions, modern materials, and high-tech features, this Japanese company leaves little to be desired. Solar energy (Eco-Drive) is common in most of their watches, and deviations from the precise time are a thing of the past for models with radio or GPS reception. It’s hard to find a watch that offers more for your money than a Citizen.